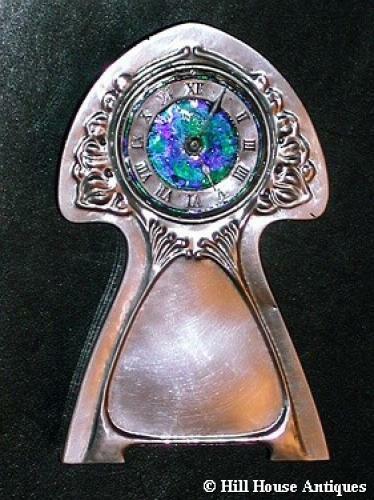 Polished pewter and enamel Liberty & Co clock - original Lenzkirch movement - possibly designed by Archibald Knox. Shape no. 0385. Circa 1905.